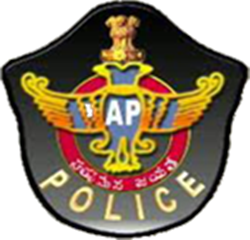 AP Police Constable Mains Results for Mechanic & Drivers in PTO: Recruitment to the posts of SCT Police Constables (Mechanics)-25 Posts & SCT Police Constables (Drivers)-134 for Men in the Police Transport Organisation was notified vide Notification Rc.No.247/R&T/Rect.2/2016, dt: 13-09-2016. 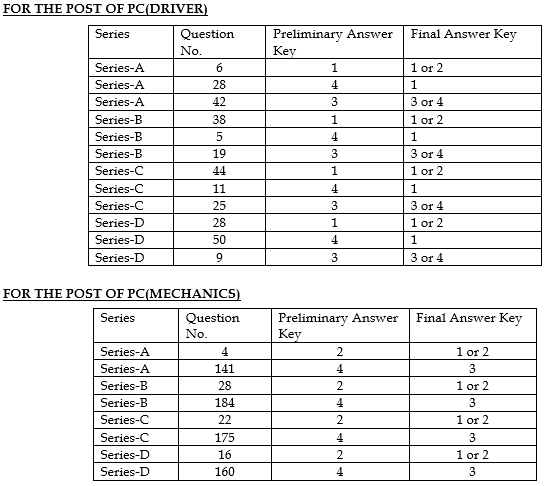 Candidates may download the Scanned OMR Sheets of both the posts i.e., for the Post of PC (Mechanics) and PC (Drivers) for Final Written Examination which will be available for each post separately in the website “recruitment.appolice.gov.in” from 28-03-2017 onwards. Any candidate who wants his OMR Sheet to be verified either for the post of PC (Mechanics) or PC (Drivers) may apply online after payment of Rs. 1,000/- (One thousand) only at any APONLINE Centre(Not Messeseva Centre) and submit for “verification” on website “recruitment.appolice.gov.in”. This facility will be available from 30-03-2017 to 01-04-2017 till 05.00 PM and the candidate will be informed the result of “verification” through SMS and e-mail. In case, there is any improvement in marks, the fee submitted by the candidate will be refunded by SLPRB, Andhra Pradesh. Each valid representation received with fee for each paper will only be examined and the decision of the committee in the matter shall be final. No further communication or Anonymous/Incomplete representations will be entertained after the last date. After the process of verification is completed final result and the Merit lists will be released for both the posts i.e., for the post of PC (Mechanics) and PC (Drivers) on the Website of SLPRB, AP within a fortnight. Driving rani varu valla competation perigipoiendhi malli nikaramga driving test pettandi sir…. Respect I want support true drivers….